A tragic road mishap claimed the life of a youth near Bagbasha petrol pump under Bagbasha outpost police station on Wednesday. A tragic road mishap claimed the life of a youth near Bagbasha petrol pump under Bagbasha outpost police station in Tripura on Wednesday. The victim has been identified as Jetharai Reang, a resident of Tongchara area under Joithang Panchayat. 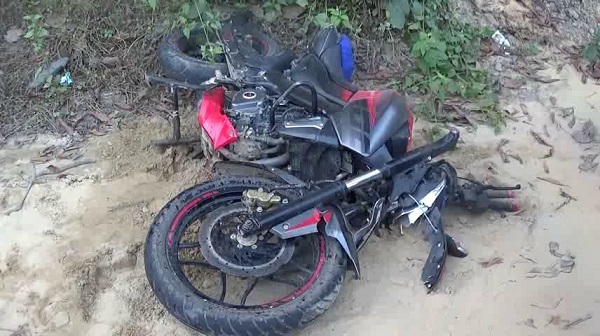 The accident took place when a 12-wheeler truck bearing number KA 01 C 9534 heading towards Bagbasa and the bike bearing number TR 05-9855 heading towards Churraebari from Shonichara area collided head on leaving Jetharai dead on the spot. Police along with fire service crew reached the spot and recovered the body from there. The truck driver managed to flee from the spot and give police a slip. Police seized the truck from Bagpasa area. Further investigation is on.